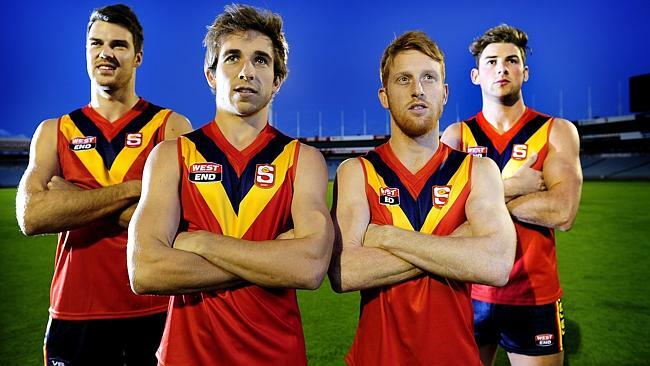 Six South Adelaide stars have been named in the initial 40-player squad for the SANFL West End State Team. Representing the Panthers in the 40-man squad are Joel Cross, Brett Eddy, Tom Fields, Cameron Hitchcock, Emmanuel Irra and Nick Liddle, while South mentor, Brad Gotch is also involved with the team as an assistant coach. The Six Panthers are amongst 40 players chosen by a selection panel consisting of Chairman of Selectors, Stephen Rowe, West End State Team Coach, Graham Cornes, Crows SANFL Coach, Heath Younie, former Port Adelaide player Kane Cornes, West Adelaide Assistant Coach, Jack Horan and South Adelaide's very own Brad Gotch. All 10 SANFL Clubs are represented in the 40-man squad, with South Adelaide, along with Woodville-West Torrens, contributing the second most players with six a piece. Joel Cross, Nick Liddle and Brett Eddy, pictured with former Panther Keegan Brooksby (far left) have been staples of the West End State Team in recent years. Liddle (2012-16), Cross (13-16) and Eddy (14-16) are no strangers to State duties, having represented South Australia on multiple occasions since joining the Panthers, while the form of Fields, Hitchcock and Irra through the Panthers 4-0 start to the season could not be ignored by selectors. 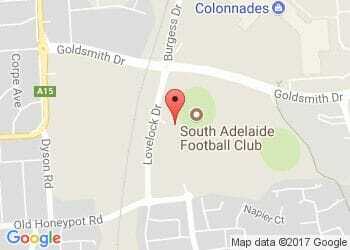 The West End State Team is set to face arch-rivals, the VFL, on Sunday May 29 at Adelaide Oval.